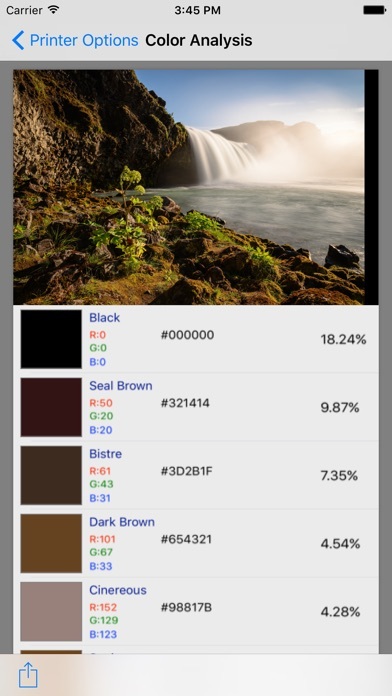 Color Analysis App allows you to perform deep color analysis for any image. 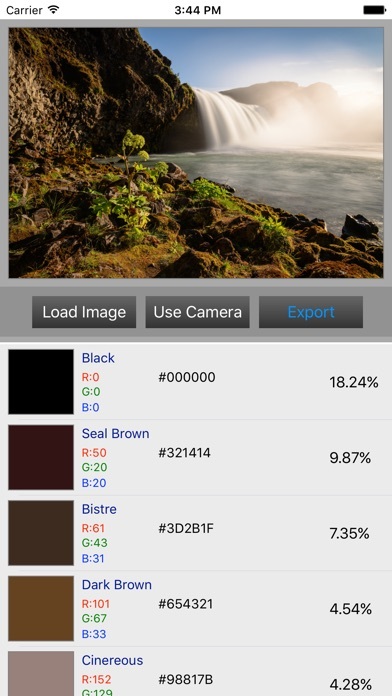 you can select local stored image or take a picture from your smartphone camera. after the image has been processed you will get the color information : such as color name , RGB, Hex Code,Color Percent. the colors will be sorted from the most from the most dominance color to the less significant. 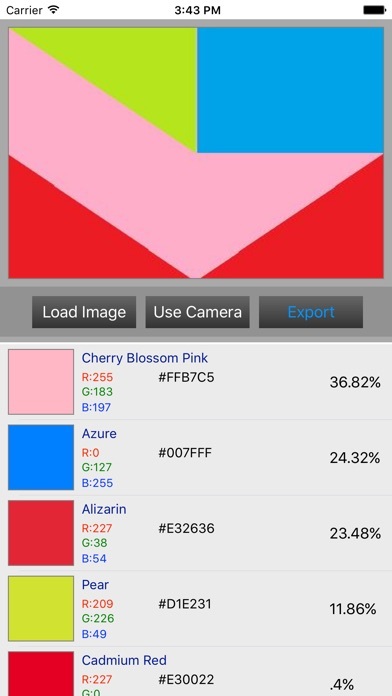 You can also send the image color analysis results (as a PDF) using your email. * 3 times more faster.